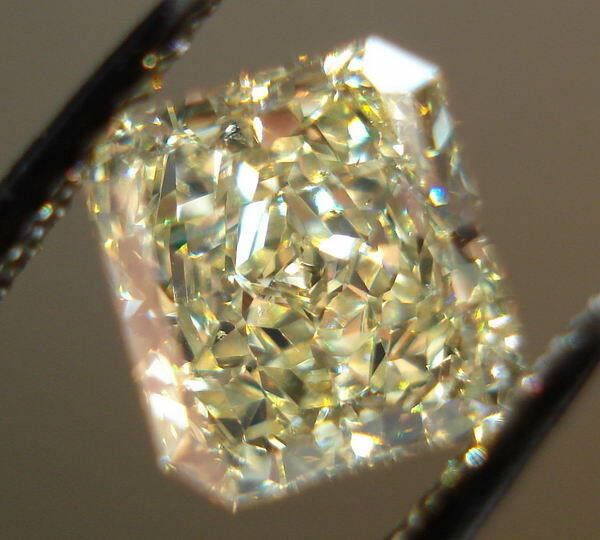 Here's a beautiful radiant cut stone. It has that lovely deep bucket of crushed ice look. 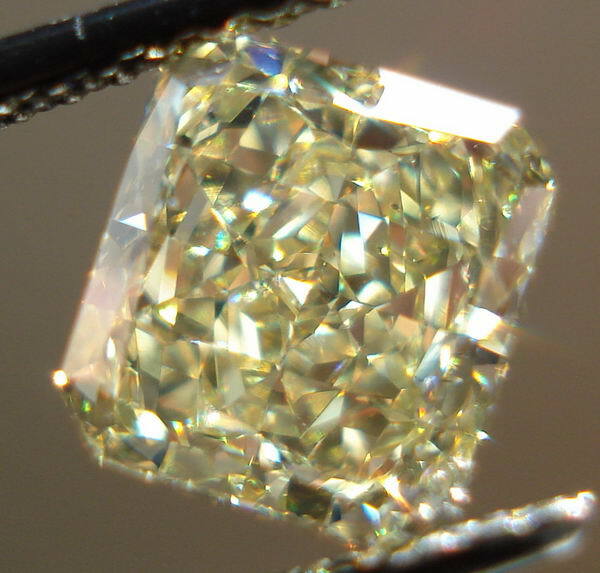 In addition it has great clarity so there is nothing to detract from the beauty of this stone. 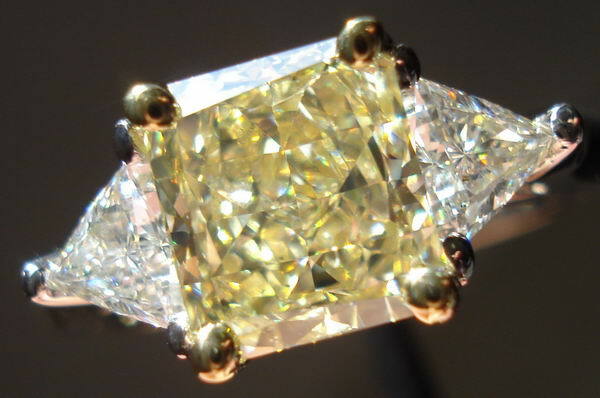 The stone also looks large for its weight. 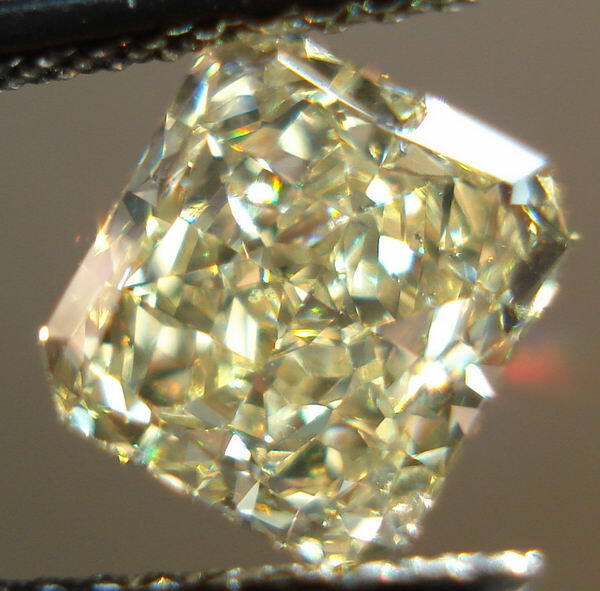 Looks like some 1.75ct out there. It is very bright and full of sparkle. 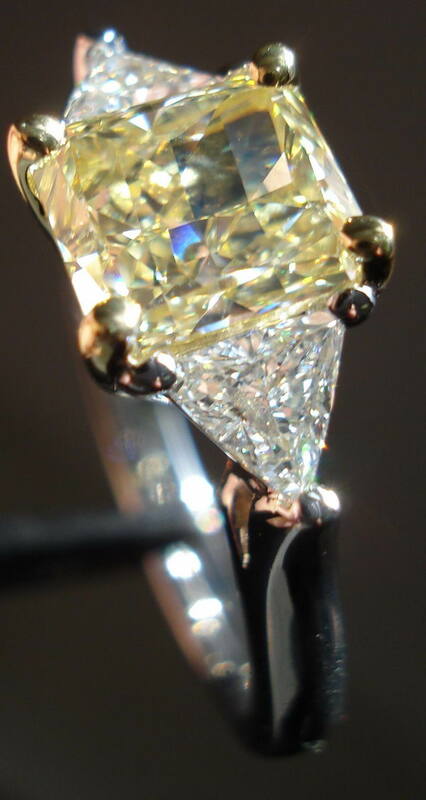 I really do love this stone! 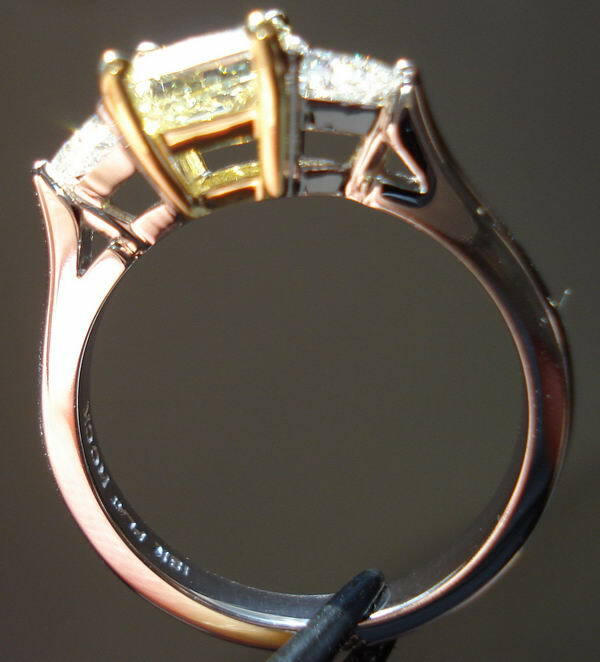 The setting is a stunning Platinum and 18K Yellow gold setting. 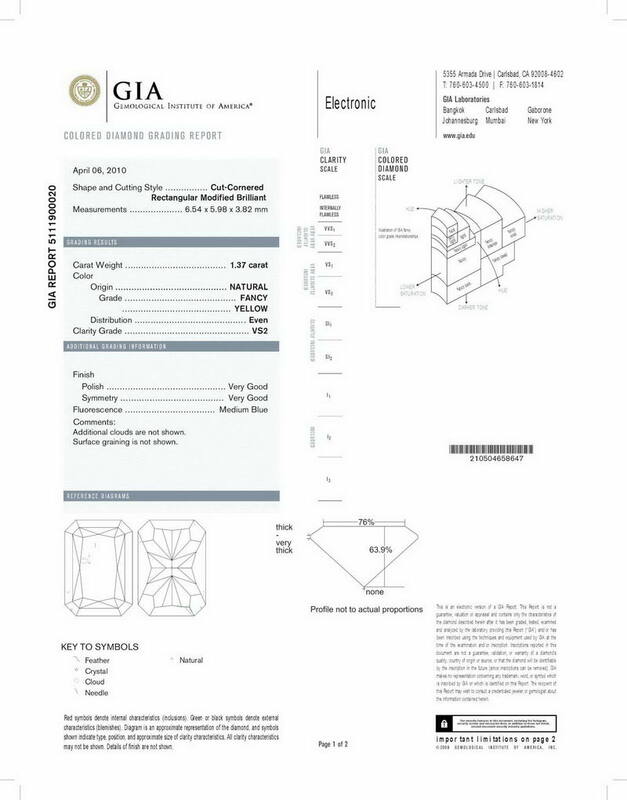 The center stone is set in yellow gold while the rest of the ring is platinum. 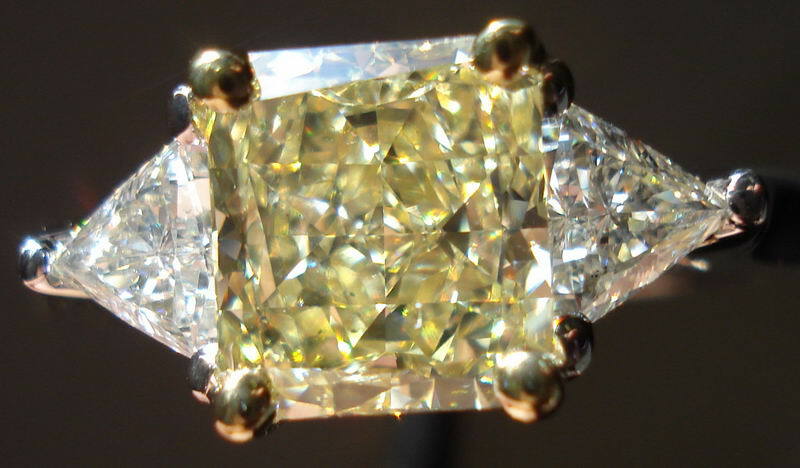 Flanking the center stone are two colorless trilliant diamonds. 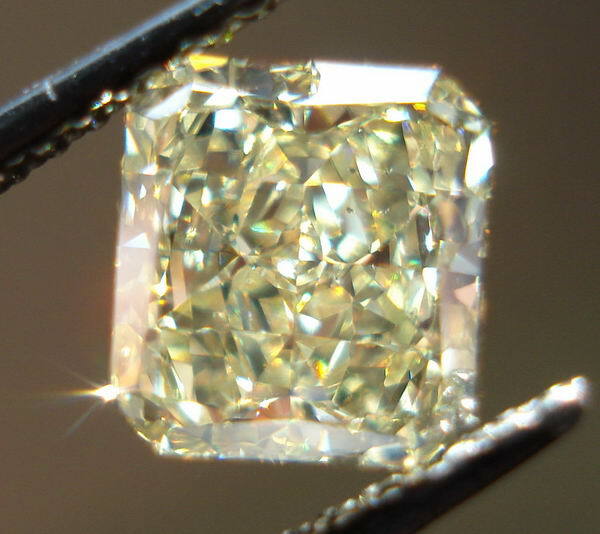 The trilliants are beautifully cut giving off wonderful sparkle. 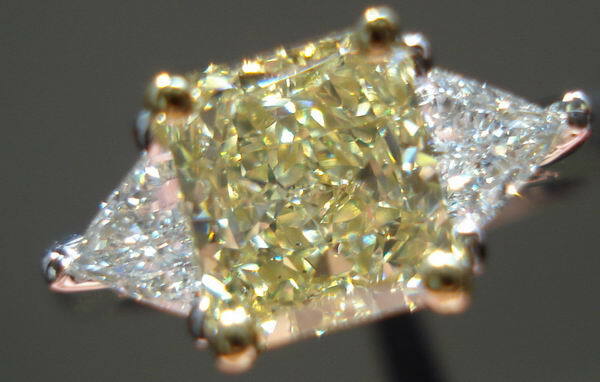 This ring looks very substantial on the finger yet maintains that feminine look. 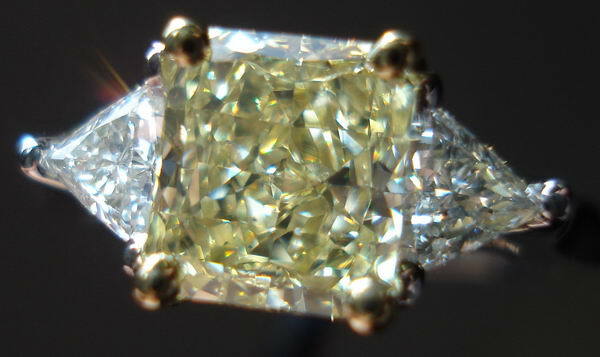 When viewed from the side you can see that this ring is very well made. I love how smooth he lines are from the shank to where the trilliants are set. The platinum is so smooth and well polished it almost looks like liquid metal.